"Auspufftopf, 2 1/2″, Flowmaster 40 Series Delta Flow"
Case Length (in): 13.000 in. Overall Length (in): 19.000 in. 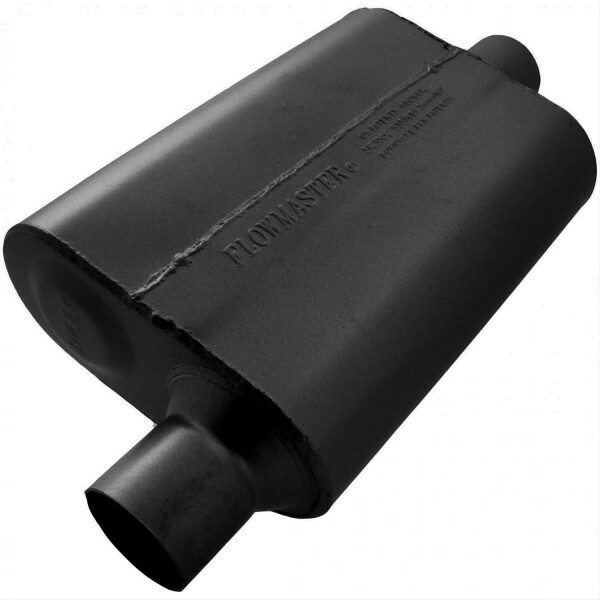 By precisely placing three internal baffles in the case, and welding them to exacting specifications, Flowmaster's new 40 series Delta Flow mufflers go a step beyond their original 40 series mufflers. These mufflers not only out-scavenge the originals, but also provide superior reductions in exterior sound levels and resonance, which are transmitted through the exhaust system and into the vehicle. You get all this, plus improved torque and horsepower and that famous Flowmaster sound!